This book was inspired by a fellow teacher, Kate, and her husband, John, as they went through this process to adopt their son, Ethan. 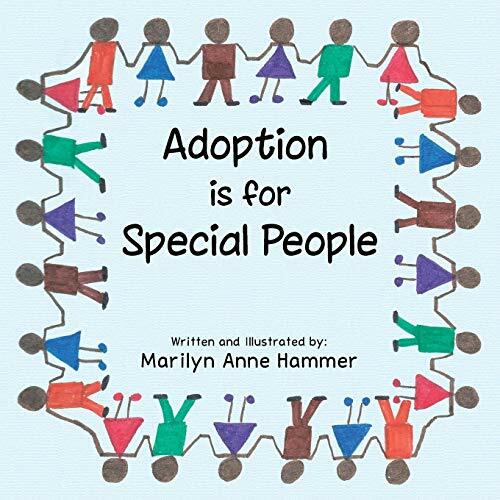 During our lunchtime, we discussed when and how to tell a child that they are adopted, and this book seemed to be a gentle and natural way of telling the story of one family on their special quest. The book also shows how one little life can complete a family. I wish everyone on the path toward adoption or living as an adopted child love, strength, and compassion toward everyone concerned. Marilyn Anne Hammer is the mother of three children and grandmother of six. Mrs. Hammer is a graduate of Glassboro State College. She is a retired teacher after thirty-plus years in the profession. She was chosen by her district as their teacher of the year and Camden County of New Jersey as County Teacher of the Year in 1998 -1999. Since retiring, she has studied drawing and watercolor with Diane Wallace of Medford and Denise McDaniel of Willingboro Art Alliance.